PORT OF SPAIN, Trinidad, Mar 23 2017 (IPS) - Visually impaired Kerryn Gunness is excited about the possibilities offered by a new free app that would serve as his eyes and enable people like him to enjoy greater independence. The Personal Universal Communicator (PUC) app is part of a new generation of cheaper assistive technologies making their way onto the market which allow people with disabilities to use technology that was formerly too expensive, but provided them with greater independence. "We want to ensure that our citizens are able to make effective use of technology to transform their lives. People with disabilities are part of that." --CTU Secretary General Bernadette Lewis. Gunness had the opportunity to do a test run of the app with its accompanying Internet-based Video Assistance Service (VAS) as part of a pilot project being launched by the Caribbean Telecommunications Union (CTU), under the umbrella of its ICT for People with Disabilities initiative. 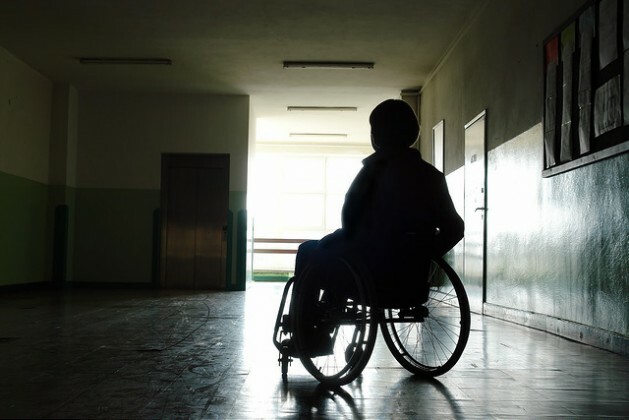 Regional statistics suggest that about five per cent of the populations in the Caribbean have a disability. Assistive technologies definitely make a difference in the lives of people with disabilities, who would otherwise enjoy almost no independence, says Roseanna Tudor, Operations Manager at the Barbados Council for the Disabled (BCD). She described the cost of those technologies as “prohibitive”. However, as communications technology continues to evolve, the CTU is seeking to harness the opportunities presented by this new generation of technology to increase the independence of people with disabilities. “The technical revolution has precipitated convergence of formally distinct disciplines…if we are going to exploit the full potential of technology, we have to deal with all sectors of our national community….We want to ensure that our citizens are able to make effective use of technology to transform their lives. People with disabilities are part of that,” said CTU Secretary General, Bernadette Lewis. Lewis explained that a pilot project will be conducted by the CTU “to collect as much data as we can. Based on the information from the pilot we will determine the best way to roll out the CVAS.” She explained that there is a lot of data available on the service which is based on proprietary equipment, but very little for the free service based on the app. Among the information the pilot project would seek to capture is whether an agent from one country would be able to interpret correctly what a deaf person from another country is saying so as to relay it correctly, given differences in local vernacular in each island. Because of resource limitations, the service would start with an agent in Trinidad and Tobago, the home base of the CTU. The cost of the service to the visually or hearing impaired would be the cost of using the Internet, Prevatt said. However, the CTU is in negotiations with network operators to route the calls from other islands to the VAS centre in such a way that they do not incur international charges, Lewis said. “The network operators are very enthusiastic about the service,” she added. She described regional governments as being “gung-ho” about the service and expressing an interest in having it implemented in their countries. The CTU’s members are regional governments. “And governments have obligations to all of their citizens, so we are helping our members to fulfil their obligations to their citizens,” Lewis said. Barbados, like Trinidad and Tobago, has signed the convention on the rights of the disabled. However, equality in all areas of life remains a work in progress for the disabled community in both countries. Tudor explained that the parking legislation has been awaiting approval by the Barbados Parliament for more than 10 years. Gunness thinks the CVAS would greatly enhance the job prospects of people with disabilities. “The service would put you on a par with your sighted counterparts. It would add and enhance what we are hoping for,” he said.